Another new area that is growing in the animal field is that of crime and legal related animal careers. Forensic investigators, animal lawyers, and private investigators are a few of those specialties. 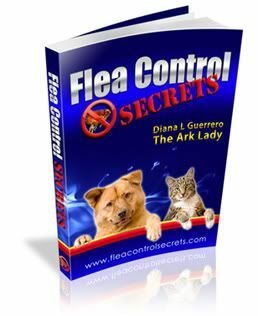 In this post I’ll explore the animal career of pet detective which is actually a private investigator area of specialty. Unlike regular private investigators that have a wide range of services, the main function of pet detectives is to trace lost or missing pets. As part of this service they educate pet parents about how to conduct a missing pet campaign (find Diana L Guerrero’s article on finding lost pets by clicking here). 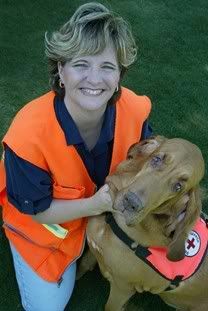 Photo: Kat Albrcht Pet Detective and founder of Pet Hunters International. Do not be confused by those who are involved in animal behavior and call themselves pet detectives. The correct moniker for that career is animal behavior consultant—which I’ll discuss later. Another area that pet detectives may enter is that of investigation into other animal crimes or issues, such as dog fighting, insurance claims on dog bites, and a pet private investigator may even work undercover for humane investigations and on illegal animal trade issues. Private pet investigators also give evidence at court hearings and work undercover. Although at least one private investigator claims certification through the American University of Private Investigators, I could find no such school. There is a certification program through Pet Hunters International. The group was founded in 2004 and is pet detective academy that will train and certify Missing Animal Response Technicians, Investigators, and MAR search dogs trained to locate lost pets. In most cases a bachelors degree in criminal justice, or certification in a variety of related fields is of benefit. In some situations you can get a associates degree in police science. Each state has specific requirements for licensing and registration. Those planning to become a licensed pet detective will have to carry insurance (amount designated by the state) and pass a background check through the Federal Bureau of Investigation (FBI). You can check for state specific private investigator licensing requirements here or see the California requirements for private investigators now. There are private schools for private investigation but unless the agency is recognized, spending your money may not get you the cooperation or recognition from law enforcement groups or municipal agencies in your area. You can find a valid listing of accrediting agencies and search for accredited programs at the US Department of Education website. All private investigators must be familiar with and operate within the law. Most private investigators spend the majority of their time driving, on foot, sitting and doing investigative surveillance work, and sometimes work with search dogs. Hours are irregular and could require the investigator to work during the night and on weekends. Travel is common for pet detectives. Many pet detectives have previous experience in law enforcement, insurance and similar jobs. So, if you are in those fields and looking for a career change–the career of pet detective may be a natural path.